Hello! Today I have a quick stamping mani to share with you. While sorting through my polishes for a destash, I came across a fair few lost treasures that I immediately wanted to wear. One of these was Parrot Polish 'Key Lime', and I knew I needed the pop of brightness it gives. I couldn't resist adding some quick stamping, so here is what I ended up with. Read on for more info and my swatch! Parrot Polish 'Key Lime' is a neon pastel green. The formula is super smooth and easy to apply. Being both a neon and a pastel, it does start off a bit streaky, but builds up nicely in three coats. Below is three coats with topcoat. Keeping with the bright vibe, I decided to stamp pink flowers. I used one of the flower patterns from UberChic Beauty plate 9-01 and a Born Pretty Store stamping polish, stamping with random placement on each nail. What do you think? 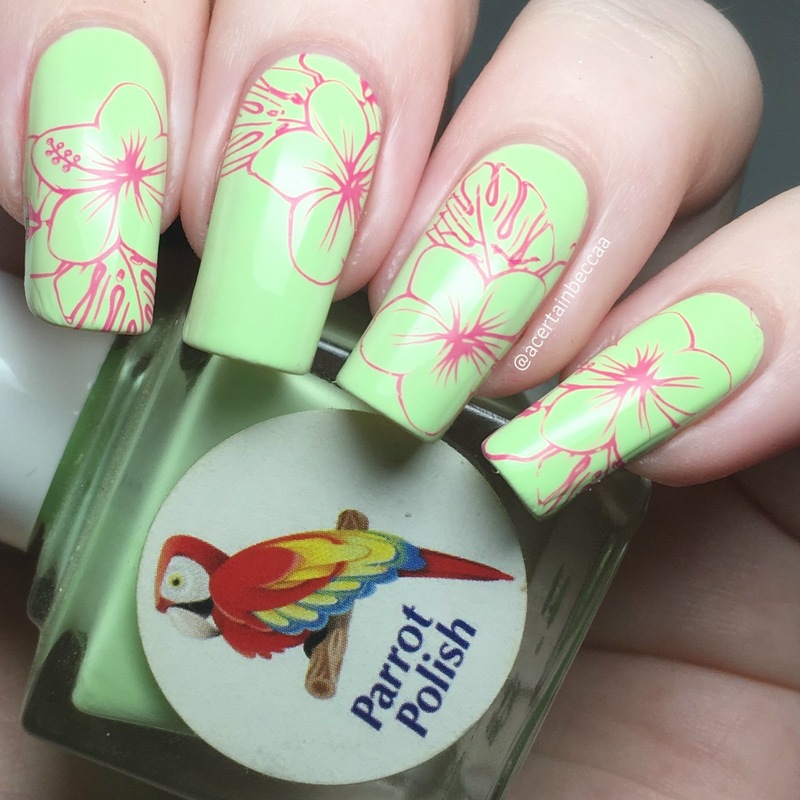 I really love how these turned out, they feel very tropical! I am definitely appreciating the fun pop of brightness - it's been much needed! 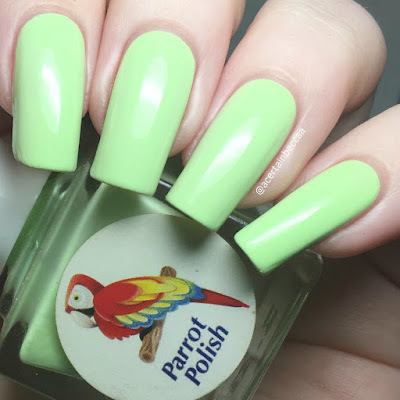 Unfortunately, 'Key Lime' is currently my own Parrot Polish. I can definitely see myself getting more in the future though!